Mayur Web Technology was established in 2004, Our Company CEO of Mayur Patel professionally managed company and all over India branches and offices. Mayur Web Technology was established in 2004, Our Company CEO of Mayur Patel, we are a professionally managed company serving throughout the world: India, USA, and Europe. Our high-skilled team of web developers, web designers, Bulk SMS Services, SEO Services, Internet Marketing solution to your online needs.Whether it's web site marketing, web site promotion, seo company, search engine submissions or any other form of internet marketing, it comes down to the same - Making money Online! You may be trying to build traffic for your website, or you may be promoting your brand through your web site. No matter what your Internet marketing needs, you'll find all the information and tools you need to be successful here at Mayur Web Technology. Mayur Web Technology is dedicated to providing professional and Corporate Website Design , Web Development, E-Commerce, IT Outsourcing services, SEO Services Company India, Search Engine Optimization ( SEO ) etc. Mayur Web Technology is an qualified website development company in Ahmedabad, India and is analytically skilled in advance. If you need outsourcing web development to Ahmedabad, website development, web designing, SEO Company in Ahmedabad, India. Mayur Web Technology has been designing web sites since 2007 and has reserved a manipulate on the rhythm of what's new on the web. We are prepared and educated to better provide a features for your business on the Internet. As long as a only one of its kind incidence on the net is a dispute for some company whether small or big. Mayur Web Technology has created successful online individuality for business across the world. We have the experience and the expertise to design a web solution that fits your needs and your budget. Our personalized websites you will generate maximum proceeds on out of your online savings. Mayur Web Technology is a website development company based in Ahmedabad, India, prepared to address all technological matter including website development of companies with Content Management System, Corporate identity & branding, E-Commerce solutions. 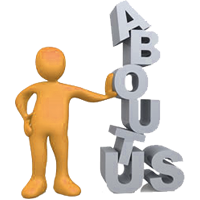 Mayur Web Technology is a India based search engine optimization firm. Our clients embrace top rankings for keywords in various fields like BPO Services, Telecom Software, Web Designing, Web Development, SEO etc. Mayur Web Technology provides integrated solution for sending SMS messages in bulk. They can also provide you with a web-based SMS management system which is particularly sensitive and functional way to send individualized, bulk text messages. They also provide a range of Connectivity Options viz HTTP/URL Trigger/SMPP/API's if required to connect directly to our SMS Centerfrom any software applications or from desktop. Mayur Web Technology offer low cost and affordable wide range of MLM Software Solutions like Binary Plan, Matrix Plan, Generation Plan, Mobile Recharge, Investment Plan and Many other business plan development company Ahmedabad, Gujarat in India.